What do you receive for your membership? The opportunity to participate in the clubs regular meetings. 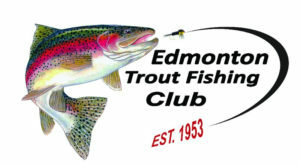 These occur in the spring and fall and may include: informative presentations about fishing, fishing techniques and the fisheries in various areas; Fly tying, demonstrations. Guest speakers are often invited to provide valuable information at these meetings. Access to the clubs library of books and videos. Depending on the demand, an opportunity to participate in rod building, fly tying and fly casting via our mentorship program and other special events. Flycaster, our monthly newsletter, which contains interesting articles, informs members of upcoming Club events, finds answers from experts to your questions, and provides opportunity to sell or trade fishing equipment and other items. Access to the Club’s lake front property on Spring Lake (Edmonton Beach). There is a picnic shelter complete with a fireplace and picnic tables. This is for members only, not for public use. Free attendance at the annual spring and fall events at Spring Lake, including a family barbeque, fishing and a chance to talk fishing. Discount on Alberta Fish and Game Association memberships. Discounts at many local fishing stores. Opportunity to go fishing with other members of the club. The ETFC offers Regular, Family and Youth memberships as well as the ability to apply for an Alberta Fish And Game Association membership. As an affiliated club both memberships are required. There is a separate cost should you wish to have a Spring Lake gate key. All of the fees are posted on the application forms or feel free to reach out to us for a phone call to help answer any questions you may have.